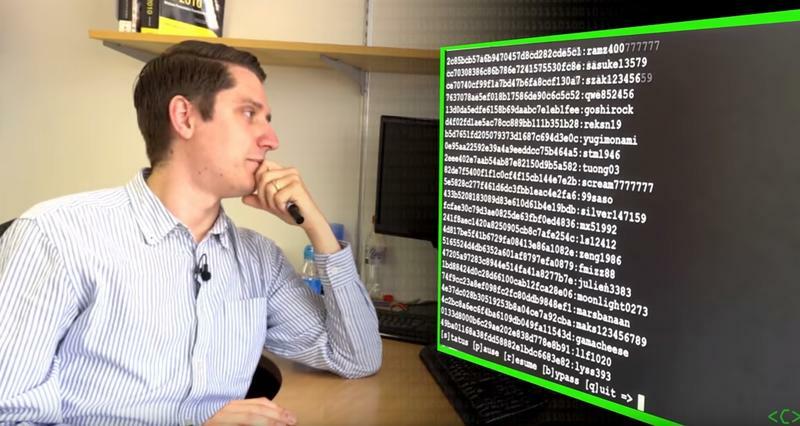 Ever been curious about how easy it is for a hacker to crack passwords? This new video from YouTube channel Computerphile does an exceptional job diving into the world of cracking with explanation. It's a long one, so grab a cup of java and relax. Your simple password that reads ThunderLightning98980274 might be alright, but this cracking video suggests that even that one isn't safe. With enough computing power and permutations accounted for, all passwords are crackable. It's a matter of time, so it's our job as users to use passwords that require a lot of time and power to crack. So, you've watched the 20 minute video and you're now terrified? Same here. Unfortunately, the presenter never really gives a good formula for what types of passwords users should use. Length is always a good measure, but it seems that using real words in the dictionary will make the password easier to crack. From what I understand based on his cracking methodology, your best bet for security is a blend of words in unique case with special characters and extra length. I'll be right back, changing all of my passwords.